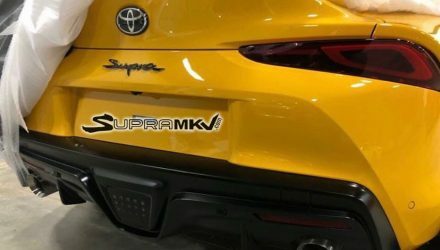 The all-new Toyota Supra has only just debuted but already tuning companies are dreaming up some interesting modification ideas. As is the case here, with this wide-body kit by Prior Design. At this stage the German tuner has only developed a draft design for the A90, creating some digital renderings to give us some idea of what’s in the works. The firm used Facebook to ask for feedback from the public on the design so far. 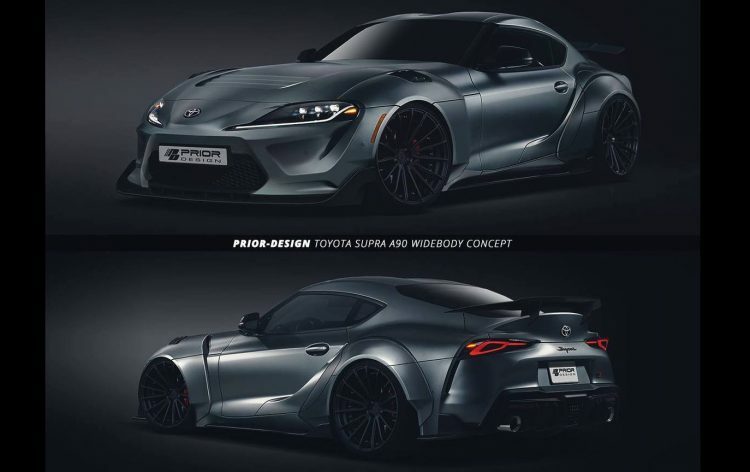 It looks like Prior Design is going all out, changing or enhancing pretty much every panel on the new Supra. At the front is an all-new bumper bar with a race-like deep chin scoop, side wings, and a heat-extraction vent for the revised bonnet. This is supported by some new front guards which are pumped out for a wider stance, featuring yet more extraction-type vents up on top. These lead to chunkier side skirts and hugely-bolster wheel arch flares that add considerable width the rear track. Around at the back you can see just how much wider the rear arches are, and then there’s a chunky diffuser lower down with separated twin exhausts within it. Up on top is a rather discreet wing, compared with the rest of the kit anyway. There’s no mention of any under-bonnet upgrades, but we’re sure there will be plenty to come in the world of aftermarket tuning. 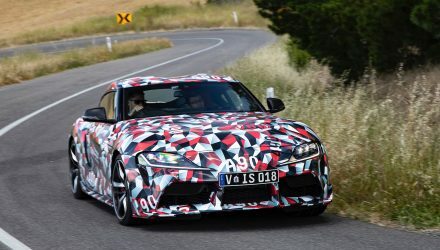 As we know, the A90 Supra uses a 3.0-litre turbo inline six engine, following tradition. It’s a BMW unit, developing 250kW and 500Nm. It already conquers 0-100km/h in 4.9 seconds, but we suspect some light tuning could easily take power to over 300kW while bringing down that time to around 4.0 seconds. 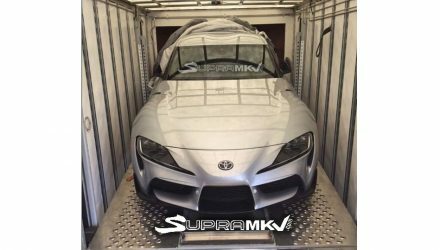 We look forward to seeing plenty more tuning ideas for the Supra in the coming months. It goes on sale in Australia later this year.